Our Cup of Tea is Annmarie Skin Care’s monthly series featuring the team members’ favorite things! From recipes to workouts to nights on the town, we’ll share the things we love with you. You’ll get to know our team a little better and who knows, you might just find a new favorite thing. Oh boy, the first brisk winds are whipping through the airstream and the last days of butterfly chasing and seed harvesting are afoot. We’re getting ready to pull out our cutest fall fashions and button up for colder days. Each of us has our own favorite ways to enjoy the chilly seasons—though many of us found out this month that we’re similar in our favorite frozen time activities when we wrote this month’s Cup of Tea. My favorite thing to do when I'm cold is snuggle under my blanket and read—I recently traded my book light for a headlamp with a dimmer, it's incredible—I feel like I'm in a cave getting ready for hibernation. Typically, my reading list has a sci fi/fantasy series on it (I'm reading Dune right now) and I let the stories take me into a different world. I am an indoors kind of gal when it comes to the cold. My favorite thing to do is get on a super cozy outfit and some slippers, then gather up a warm blanket, feel good book, cup of tea or hot chocolate, and my dogs. We'll snuggle up by the heat of the fireplace (electric, unfortunately—one day I'll have a real fireplace) and be VERY happy that we're warm and toasty inside. 😉 BTW—this is all done while the kids + husband are gone and I'm alone with the dogs, soaking up the silence (until they start barking ;-)). My absolute favorite kind of day is when the sun is out but the air is chilly. I love to bundle up in a thick scarf and stroll around in nature with a cup of Earl Grey tea. We also get a lot of rain up here in the Bay Area during colder seasons which provides a plethora of native mushrooms. I like to bring a basket on brisk walks and forage with friends to later identify the types of mushrooms we found. Love to snuggle up, with a cup of hot cider in hand and have a movie marathon or binge watch a series. A stormy evening is so fun when I can chill indoors with my partner. It always gives me a sense of adventure. I love to spend some leisurely time cooking a delicious meal together, listening to relaxing music, and then put a quilt on the living room floor and eat amidst pillows and blankets. 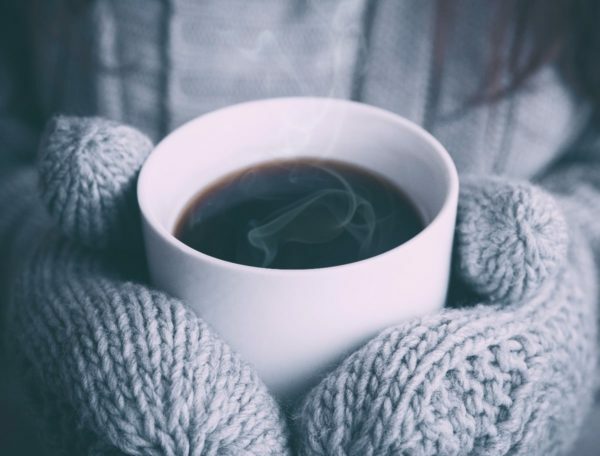 Do you have a favorite activity in the cold weather? Let us know in the comments below!